Two thematic albums by the amazing Julie London, considered by many to be one of the most sensuous voices of jazz and popular music. 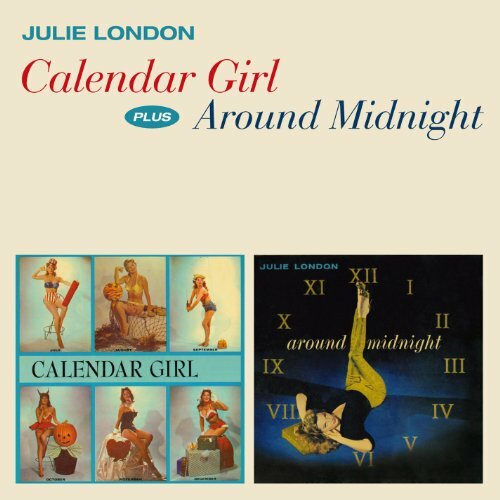 Calendar Girl contains 13 songs, twelve of which feature a different month in the title (the set closes appropriately with Arthur Hamilton's 'The Thirteenth Month'), while Around Midnight is a collection of songs evoking nighttime. As a bonus, we have added four rare tunes taped for Bethlehem featuring the singer fronting a band conducted by Bobby Troup (the producer of our first LP and London's husband), which mark her earliest commercial recordings. Fine And Mellow.